The Square Shower Head is designed to transform your bathing experience. Featuring a unique, flat design, it offers good coverage and has been specifically designed for easy installation. There is no doubt that the design of this shower head has been well-thought out. The shower head itself is large, flat and coated with a chrome finish. 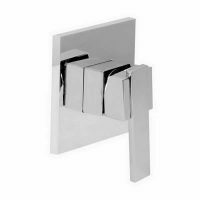 All parts of the unit are manufactured using solid brass construction and are highly reliable. 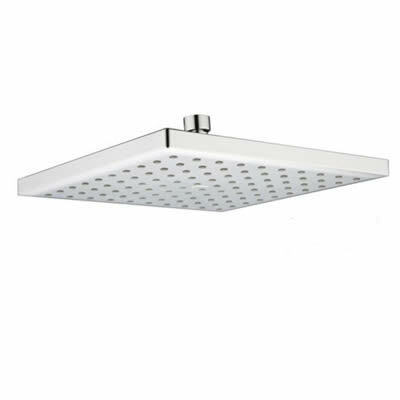 The Square Shower Head measures 230x230mm. While this shower head is stylish, it is also highly practical. Not only does it offer good coverage, but it is very efficient as well. 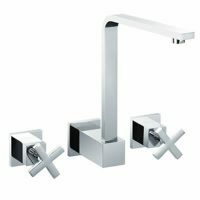 It has a water flow rate of 8 litres per minute and is rated as WELS 3-stars. This shower head, including internal parts are backed by manufacturer offered guarantees. The Square Shower Head is a heavy-duty unit, which is built to last everyday bathroom usage for several years. Don’t think twice – the Square Shower Head is an affordable way to redefine a comfortable bathing experience. Purchase this amazing shower head at a great price from us at Ross’s Discount Home Centre in Perth. Visit our showroom in Guildford or shop online with us today!